Hamas official says talks in Cairo on Gaza ceasefire and reconciliation have been postponed. Hamas political bureau member Husam Badran said on Sunday night that talks between the Palestinian Arab factions in Cairo on the issues of a Gaza ceasefire and reconciliation, which were scheduled for Monday, had been postponed, Channel 10 News reported. The reason for the postponement is unclear. Badran also said that Hamas' position that national unity should be maintained based on a 2011 agreement has not changed, adding that everything related to Gaza and other Palestinian Arab issues would require national consensus. 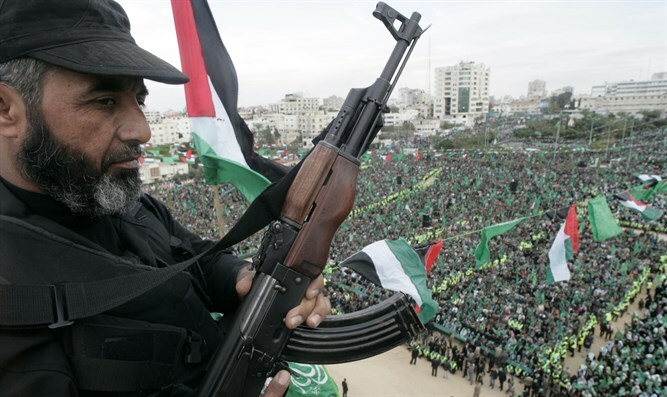 In recent weeks, Egypt has been mediating talks on a long-term ceasefire between Hamas and Israel. Despite the progress with the negotiations, tensions remain high in the region following an upsurge in Hamas attacks on Israeli targets including the killing of an IDF soldier on the Gaza border by a Hamas sniper, and a wave of rocket and mortar attacks on Israeli towns and army positions in the Gaza border area. In addition, the reconciliation between Hamas and Palestinian Authority (PA) chairman Mahmoud Abbas’ Fatah faction continues to be an issue.